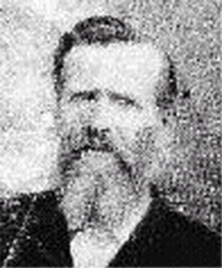 Born 23 August 1837 in Lumpkin Co. GA, James Patrick Mabry was the second of six children of Little Mabry and Elizabeth Russell Mabry. James and his brothers, Alberry Watson Mabry and Little Thomas Mabry, all served in the 1st Alabama Cavalry. James died 13 June 1926. Picture submitted by Don Collins.